Currently in iOS 8, both Find My iPhone and Find My Friends are optional installs from the App Store. But in the first beta of iOS 9 provided to developers this week, they come preinstalled and cannot be removed. Apple made a similar move last year, baking iBooks and Podcasts into iOS 8 as native applications. It proved to be a successful move for iBooks, as Apple gained millions of new users to its e-book platform. 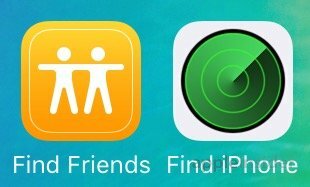 In addition to being built in to the first iOS 9 beta, Find My Friends is also accompanied by a new Notification Center widget. 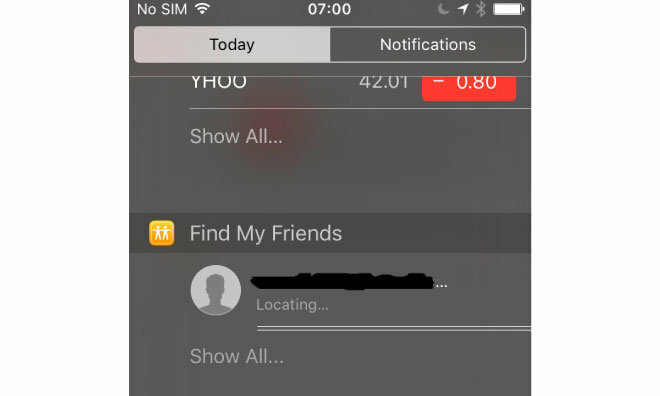 The widget shows nearby friends, and tapping to open the app will offer a more detailed view of all friends' locations shared through the application. With iOS 9, Passbook has also been rebranded as Wallet, while Newsstand will be replaced by a new Flipbook-like application simply dubbed News. However, News is not found in the first beta release of the software, while former Newsstand publications on upgraded devices will see their individual apps placed into a folder still named Newsstand.